MNA’s Councils are an integral component of the association providing guidance and assistance to the Board of Directors. The MNA Councils seek nurses with expertise in specific areas and are responsible for evaluating social, economic, scientific, and educational changes to determine their implications for nursing; establishing working relationships with MNA structural units and other organizations as appropriate; and executing and evaluating approved programs of council activities. 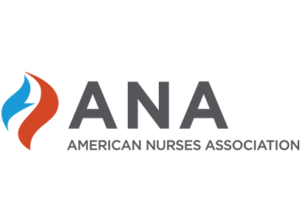 MNA utilizes numerous committees to gain input from nurses and to help determine the direction of councils. Councils may have standing and/or ad hoc committees which shall assume such duties as are specified in the bylaws and such other duties as may be assigned by their respective councils. The size of each committee will be established by the Board of Directors depending on the needs of the committee, and shall be appointed by the Board to serve for two years or until their successors are appointed. Committees typically meet a minimum of once per year, but frequently meet more often as determined by the Committee Chairperson. Each committee shall report and be accountable to their respective councils and shall act in accordance with the bylaws and policies of MNA. For more information on MNA Councils and Committees contact the MNA office. Click the button below to express your interest in being considered for a committee.